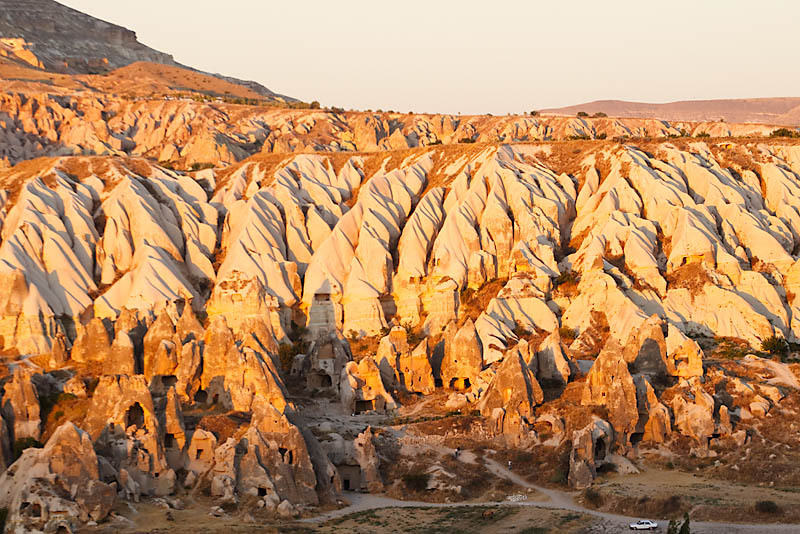 Outside of Istanbul, Cappadocia is probably the next best known and popular tourist attraction in Turkey. And it's not hard to see why. Famed for its geological features, visitors would be treated to a variety of sights rarely seen elsewhere. Rock-hewn houses, cave churches, underground dwellings, and bizarre-shaped rock formations scattered over a moonscape - there are definitely enough things to impress most people. To further add to the tourists' favorable impressions, accommodation options include 'cave hotels', where you stay in actual cave rooms natural to this region. And these cave rooms can cater to all budgets. From beautifully furnished and decorated hotel rooms to hostel dormitory rooms!! 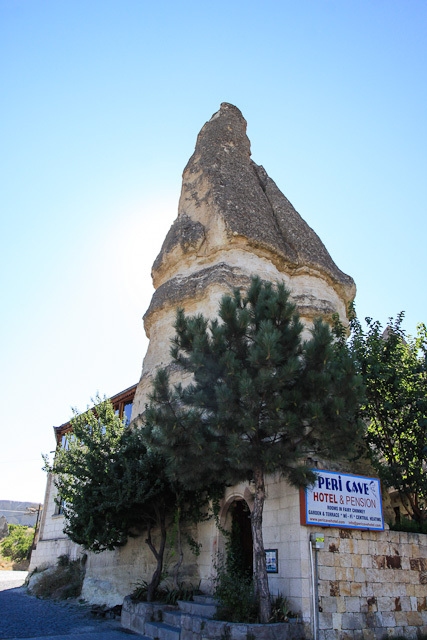 There are a couple of towns within the Cappadocia region, though Goreme seems to be the favourite for backpackers. 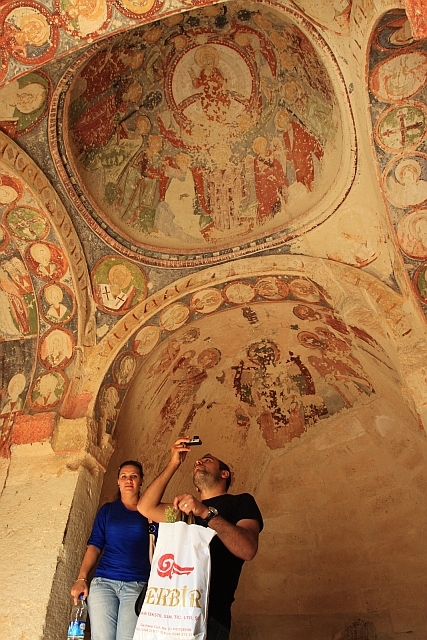 Being close to the Goreme Open Air Museum, and hiking trails certainly helps. 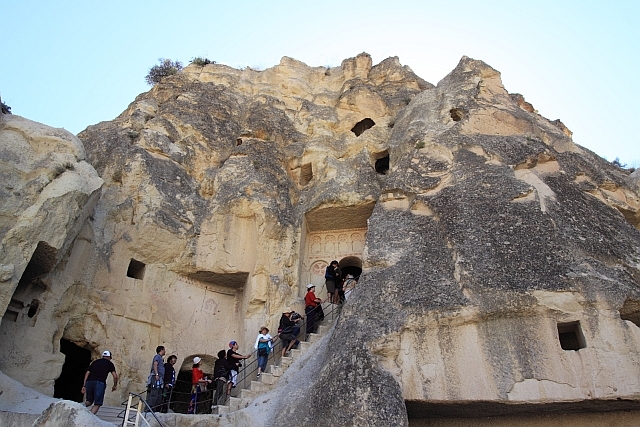 Hiking through Rose Valley, Pigeon Valley, or visiting the Uçhisar Castle in Uçhisar - these are all common itinerary for most visitors. And photographic wise, the lighting and opportunities are all to die for. But one of the best experiences though, both in terms of travel as well as photography wise, would be to take a hot-air balloon flight! 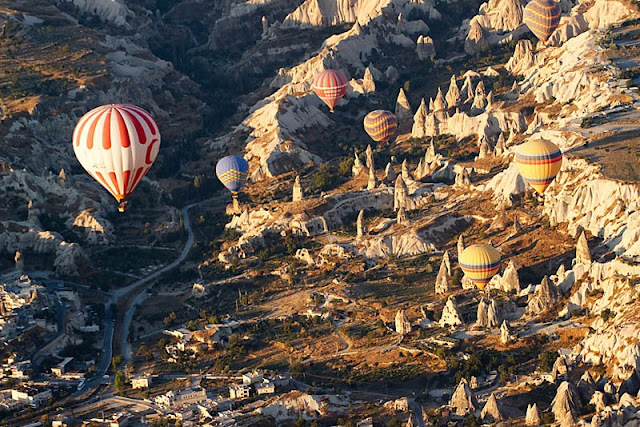 There are quite a number of hot-air balloon companies in Cappadocia and most agencies can arrange flights with them. However, there seems to be some syndicate operation going on, as there had been reports of tourists signing up flights with a specific company but ended up with other companies instead. So ask and verify carefully. 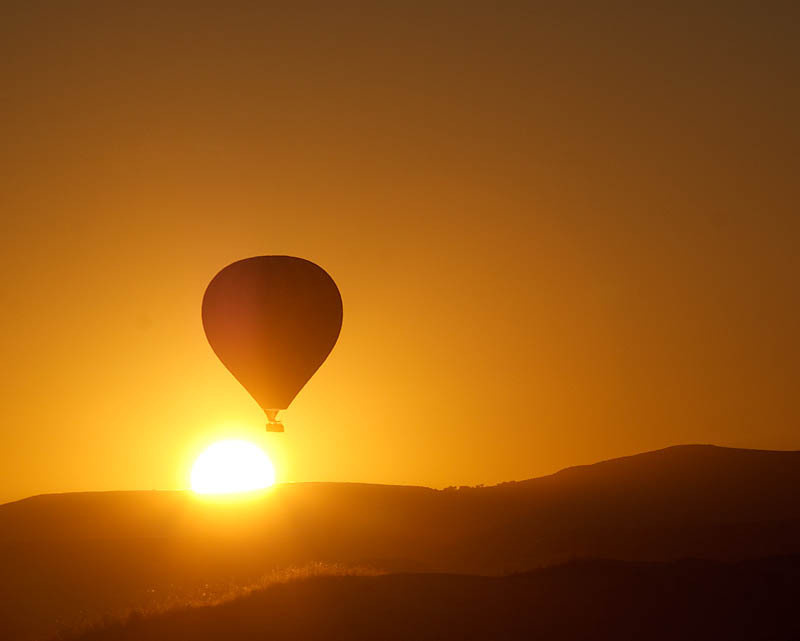 Flights last about an hour, and you get to witness sunrise over the surreal landscape in a hot-air balloon. Spectacular!! It's hard not to come away impressed. 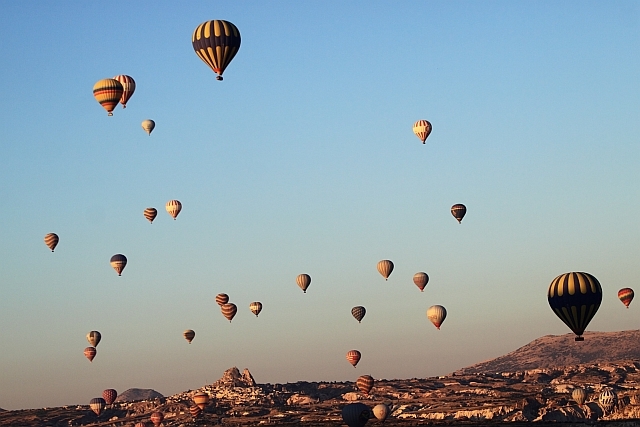 So if you are thinking of doing a hot-air balloon once in your life somewhere, Cappadocia is a good bet!